little damage from the tsunami. If you take care to arrive at Matsushima-Kaigan station, it is only a few steps from the bay.I took a local train to Matsushima. Here are a couple of the little islands near the edge of the bay. There are of course many more. I didn't take any more pictures of the islands, because I already have too large a collection of them. A short walk from the bay, you find Entsuin temple, built in 1647 as a mausoleum to a young lord, grandson of Date Musamune, who died young. The front of the shrine. But the nicest thing about the place is its lovely garden. 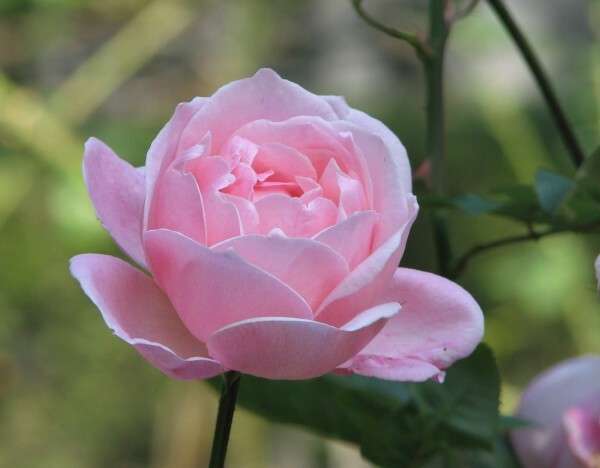 There is a tiny zen garden, but also a rose garden, which is very unusual in a Japanese garden, especially a temple one. Please note the moss and roof iris: it must be lovely in June... 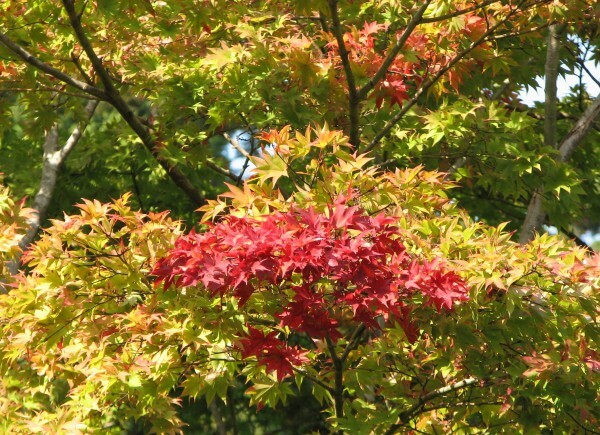 There were occasional touches of color. 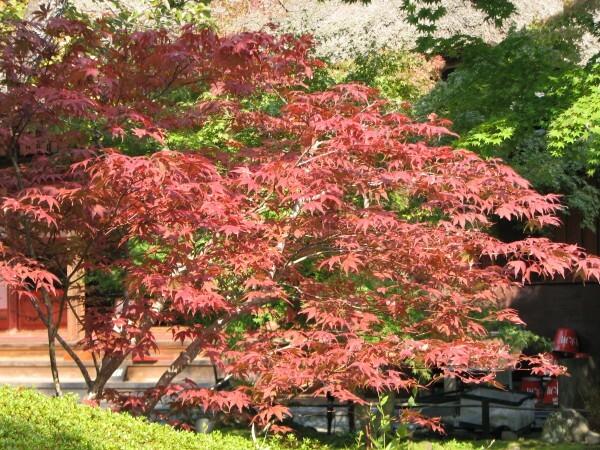 Near Entsuin temple is the more famous Zuiganji Temple, founded in 828. 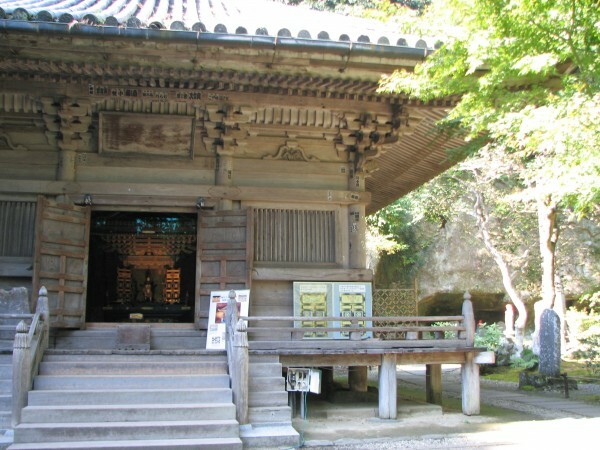 It became a zen temple during the Kamakura period, but then fell into decay until Date Masamune decided to restore and enlarge it in the early 1600s. Unfortunately, it is under restoration until 2016. 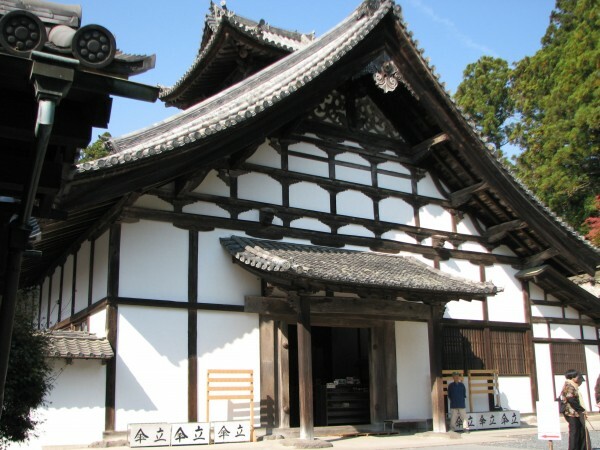 However, until the main hall is re-opened, one can visit the huge zen kitchen, which is normally closed to the public. The museum is open as well. It is quite a nice building, very characteristic of the period. Something of interest nearby are the numerous caves. 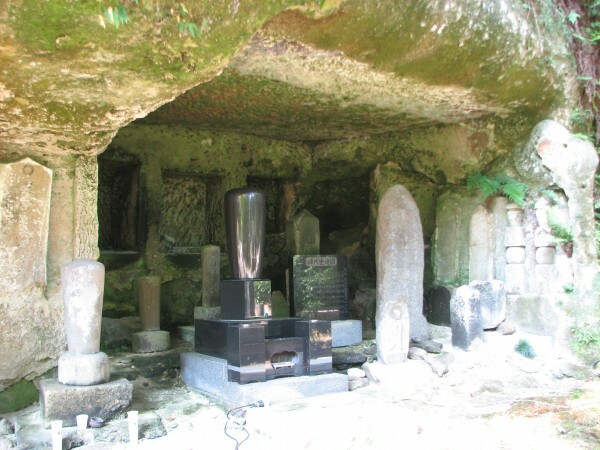 They were once used for meditation, but now have been filled with statues and steles. 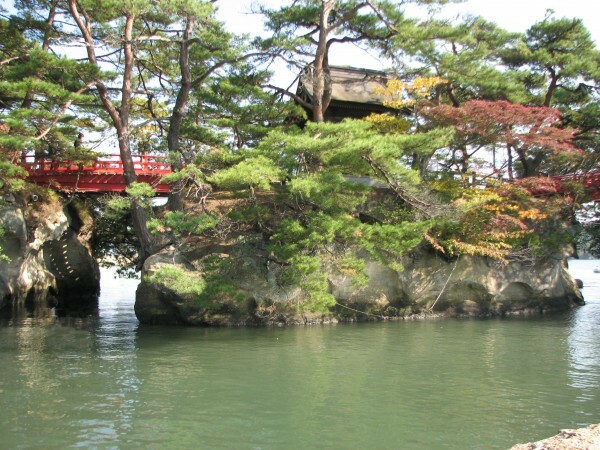 The rocks around Matsushima are a sort of limestone, rather easy to dig into. That's the reason the sea has easily carved the islands in picturesque ways. 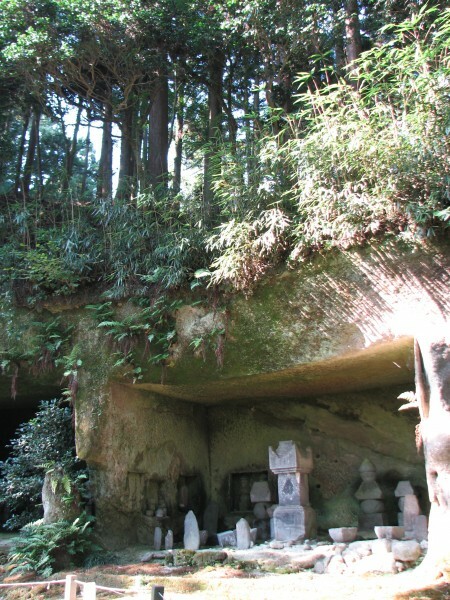 By the way, one can see tiny meditation caves on the nearby islands. 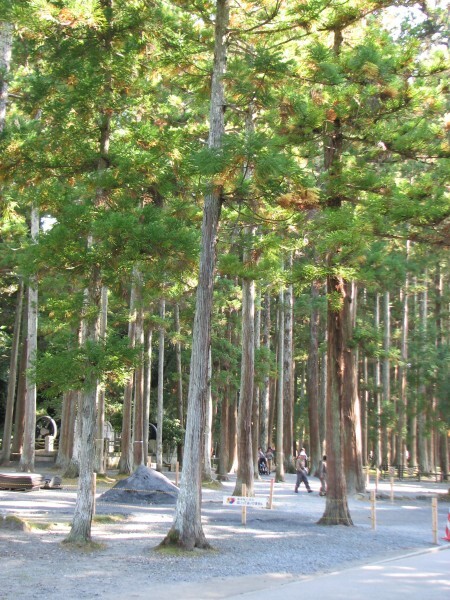 There is a beautiful cedar avenue leading to Zuiganji, as well as a lovely pine wood nearby. 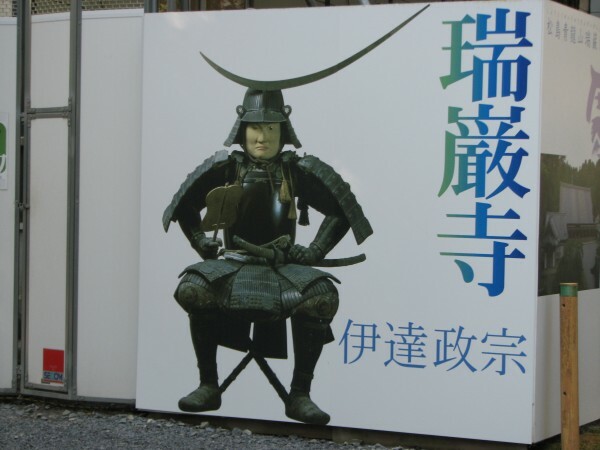 In another day or two I plan to post my pictures of the Ise Peninsula, to which I went next. 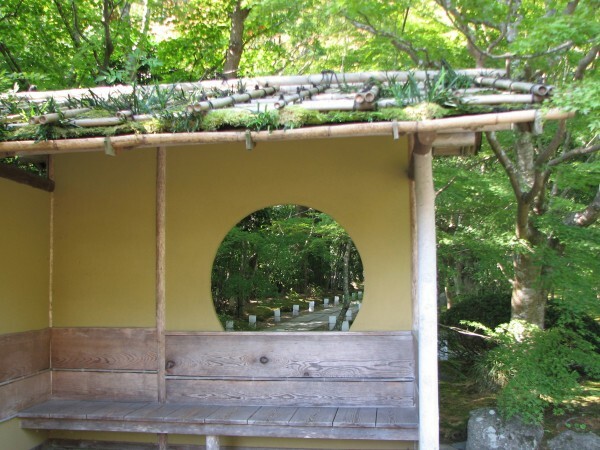 I didn't know about this temple, when I visited Matsushima. As usual, it looks so peaceful on temple grounds. I always find that very nice a relaxing. I like temple grounds as well. Of course we are talking here of two temples, with Zuiganji the more important. But it is Entsuin that I prefer. Its garden has the most pleasant atmosphere. Neither is ever crowded, most people being so fascinated by the bay and the islands they never go inside the town, though the temples are only minutes away.